We’ve come a long way in the HIV pandemic. When I first started working in the field in 1986/87 everyone was super concerned that HIV testing needed pre and post test counselling and there was no way you would even get your results texted to you, you had to go back to the clinic, normally after an incredibly stressful two week wait. In fact, even today there is still a two week delay in getting results for an HIV test from many clinics. Including some in London. What is that about actually? TWO WEEKS? Most other tests come back whilst at the clinic, but HIV tests seem to take forever. However, we’ve just seen the launch of an HIV Home Testing kit where you can, with 99.7% accuracy determine if you have been infected with HIV. It’s a simple finger prick test like those used in the rapid testing clinics (i.e. at Dean Street Express) but this one takes around 15 mins rather than 2 mins. Having said that, it’s a whole lot faster than waiting TWO WEEKS! It means of course, you’re probably learning the information on your own without a trained health care professional there to ensure you understand the impact of this news and to answer any of your questions. It tests for HIV antibodies and so you still need to wait for 8 weeks since your last risk exposure. You could also have other STI’s which won’t be picked up and so it’s no substitute for regular sexual health checks. But I think it has it’s place. The pack itself is very straightforward and well put together. There are very clear instructions and everything can be safely disposed of in your household waste as there are no sharps and the tiny drop of blood used is contained in the testing device so presents no risk. It could offer great peace of mind for people – especially those who live some distance from rapid testing clinics and who are willing to spend the £30 necessary to acquire the kit. I was sent my test kit to review via the lovely people at Freedoms who apparently have temporarily sold out of these kits. I guess that shows how popular they are! 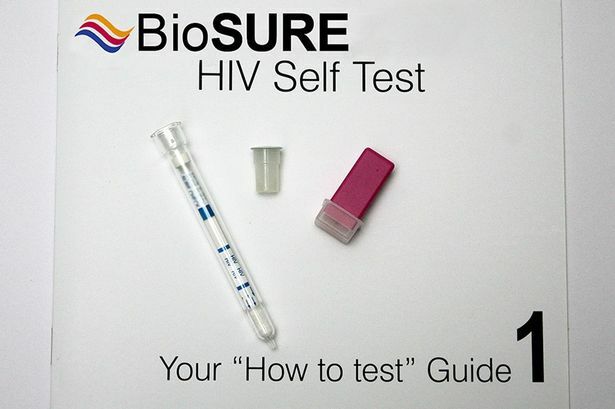 This entry was posted in Uncategorized and tagged biosure, freedoms, HIV, hiv self test, self test. Bookmark the permalink. ← Disclosure and Gender/Sexual norms.